For her intervention in the Safiental, the artist has taken stones from world-famous American Land Art-works like the Spiral Jetty, the Double Negative and the Sun Tunnels and buried them at regular intervals along a line of ten kilometers in the Safiental. Only small plaques indicate the locations of these stones. Thus this conceptual work refers to the artistic strategies of the historical Land Art movement and how, even in the supposed absence of the work of art itself, mediators emerge that are inseparable from it. 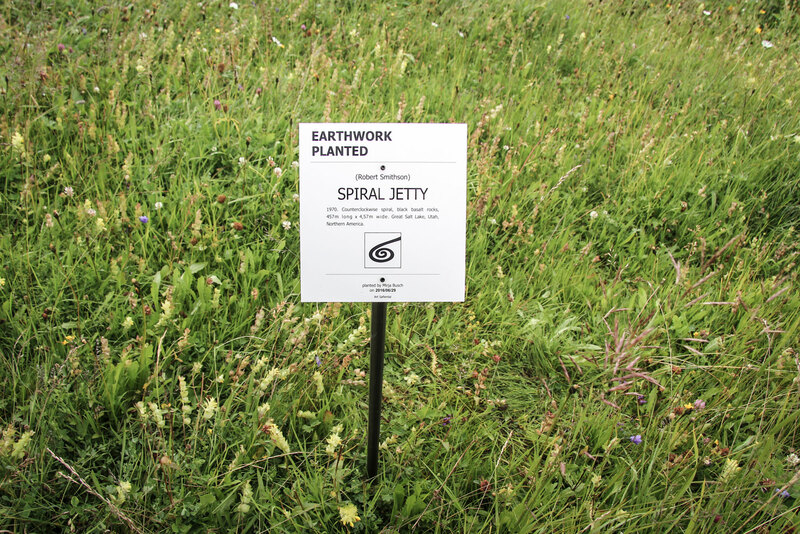 For the artist, Land Art is also about activating and animating the viewer as they undertake the journey to the site of the physical experience.